Ready Player One is a 2018 American science fiction adventure film produced and directed by Steven Spielberg, and written by Zak Penn and Ernest Cline, based on Cline's 2011 novel of the same name. The film stars Tye Sheridan, Olivia Cooke, Ben Mendelsohn, Lena Waithe, Simon Pegg, and Mark Rylance. The film is set in the year 2045, when much of humanity, escaping the desolation of the real-world, uses the virtual reality software OASIS to engage in work and play. 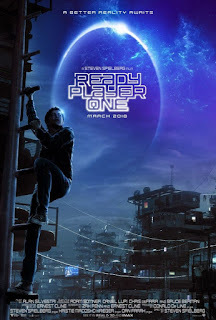 Wade Watts (Sheridan) discovers clues to a hidden game within the program that promises the winner full ownership of the OASIS, and joins several allies to try to complete the game before indentured players working for a large company, run by Nolan Sorrento (Mendelsohn), can do so.